Showing results for tags 'Box art'. Sitting, standing and walking. What will Sora do next on the box art of Kingdom Hearts 3? Does anyone wanna bring this drawing to life for me? 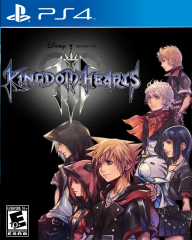 This is an idea I had for a KH3 Box art or Main menu. Keep in mind this is literally my concept drawn in paint in 5 minutes, I am just wondering if a good artist would create this drawing for me. Roast me if you want though.